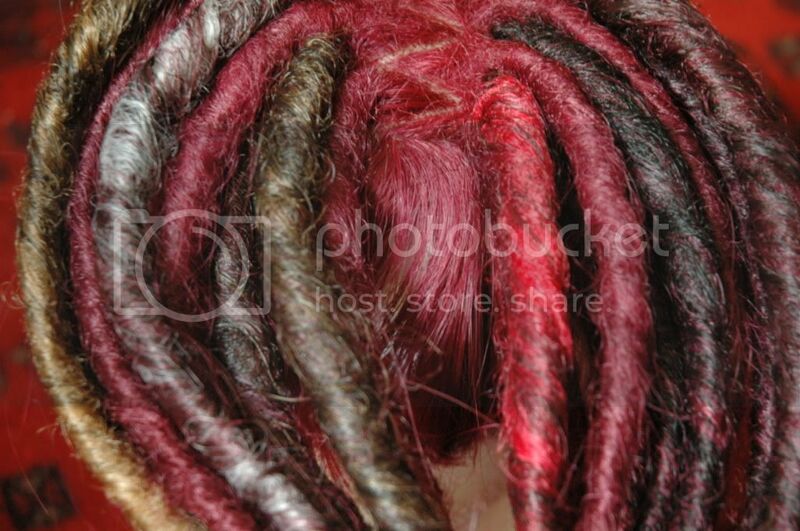 I've started working on a new dread wig and I'm having a hard time finding an accent color. 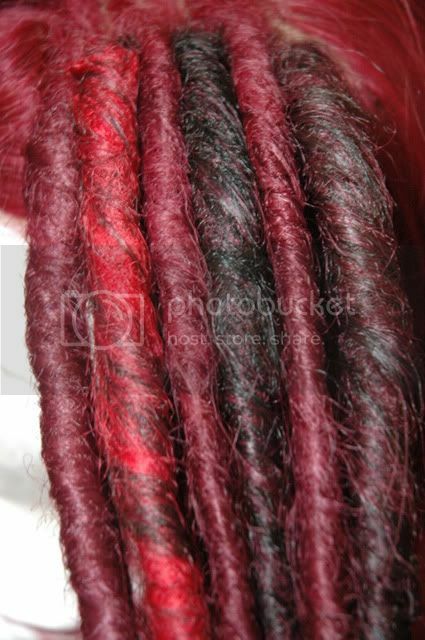 I'm going to use maroon kk that matches the base wig and some black solid and black/maroon transitionals, but I'd like to add one more color that really pops. Last edited by Librarynerd on Wed May 18, 2011 7:33 pm, edited 1 time in total. i think if you could blend a nice deep golden yellow, that would look nice. White! It looks so amazing against burgundy. I'm partial to neon violet and deep cherry with burgundy. So many great ideas! Time to dig into my KK stash and experiment. Thank you all so much:) I would never have thought of some of the colors you suggested. Inspiring. 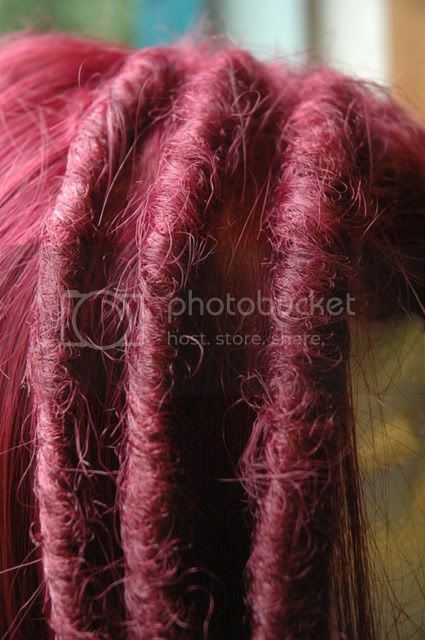 I think a royal blue or a pink would look great. Maybe white? Last edited by PrettyDreadful on Sun May 29, 2011 3:36 pm, edited 1 time in total. I know it's likely been overdone, but I like baby pink with burgundy. 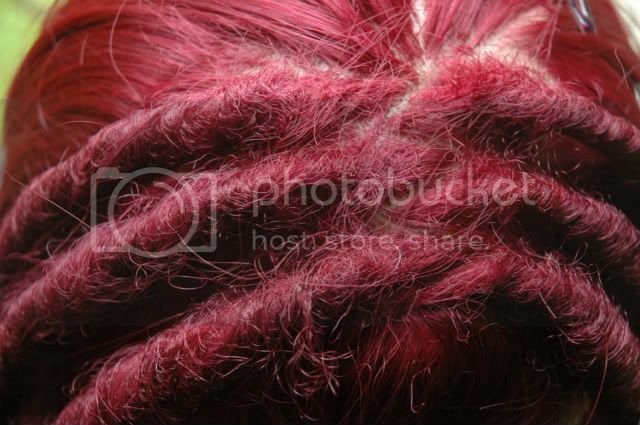 ikickshins wrote: I'm partial to neon violet and deep cherry with burgundy. 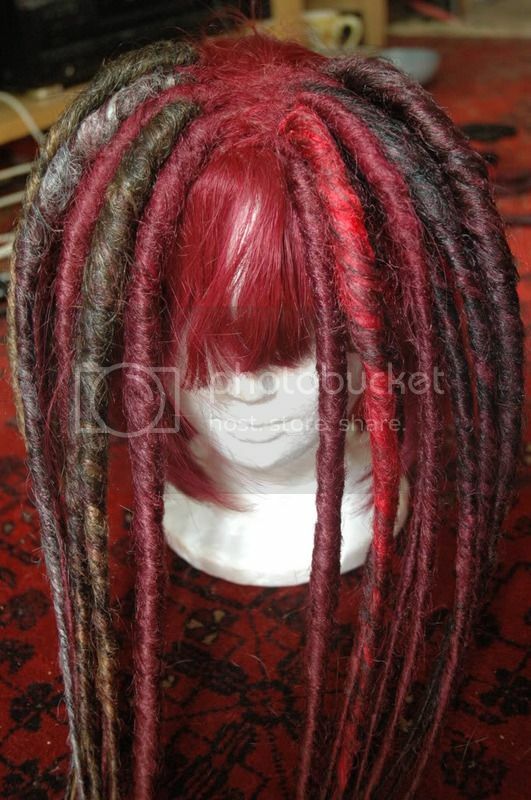 I've made some quick and dirty dreads to pin on the wig to compare color combo's. 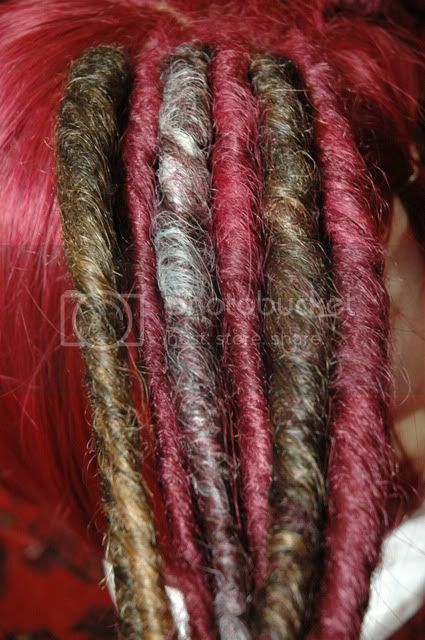 These are the colors I had laying around, mostly natural tones. I just ordered a bunch of KK (Oy Vey!) for this and other projects so I'll try some other combo's. I love the idea of emerald green!